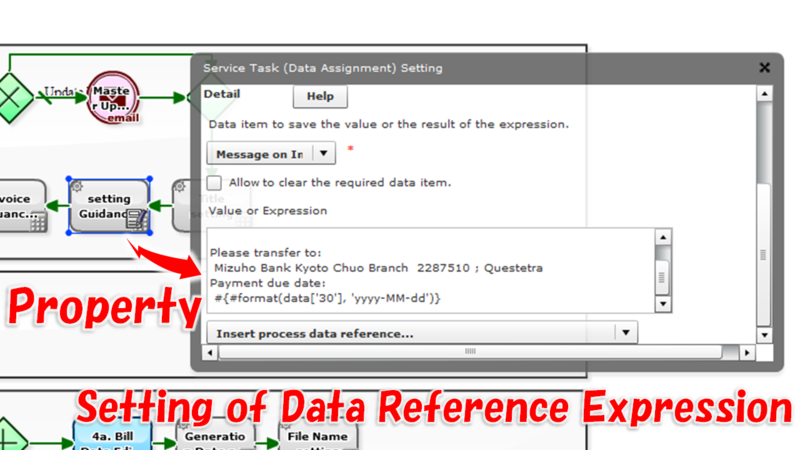 To configure "a state in which the data is input in advance " for Task Processing Screen(Input Screen), the method of Auto-Setting an [Initial Value] at the uppermost stream is useful. 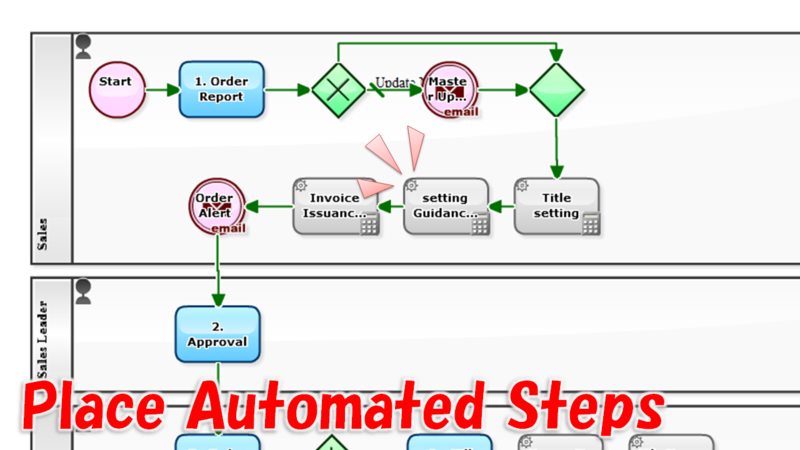 However, when it is required referring to some Business Data, the value must be set in the middle of the flow (Auto-Set Step). e.g. Input deadline on both of "Payment Deadline" and "Invoice Guide" etc. e.g. Set "Inquirer Name" onto "Body Text", Set "Inquirer Address" onto "Reply Destination"
e.g. 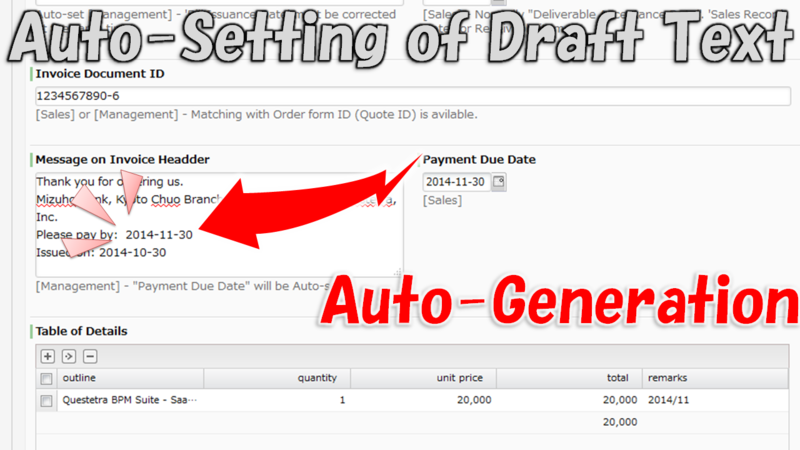 Set file name determined according to "Contract Type (Select Type)"
Add notes on input screen as "will be Auto-set/have been Auto-set"